Bill Paton graduated from Detroit Bible College, Detroit, Michigan with a B.R.E. in May 1970, and was ordained by Calvary Baptist Church, Hazel Park, Michigan in 1972. He worked with Galilean Baptist Mission in a church planting mission work from 1969 to 1986, seeing both the Bible Baptist Church of Howell, Michigan (1969-1980) and Hope Baptist Church of Romulus, Michigan (1980-1986) graduate from mission status to self supporting churches. He stayed on with Hope Baptist Church as their full time pastor until 1994. During the years, 1976-1993 he also was an instructor at Detroit Bible College (William Tyndale College), and at Warlick Bible Institute of Ypsilante, Michigan 1990-1992. He became a missionary with Baptist Church Planters in 1993. Jan attended Westmont College in Santa Barbara, California, (1959-1960) and Western Baptist Bible College, El Cerrito, California where she graduated in June, 1964 with a Bible major and minor in Christian Education and Music. She married Terry Elliott on March 31, 1962 and the Lord gave them four children: Karis, Kevin, Kaylene and Kraig. Terry Elliot went home to be with the Lord after suffering a massive heart attack in 1990. 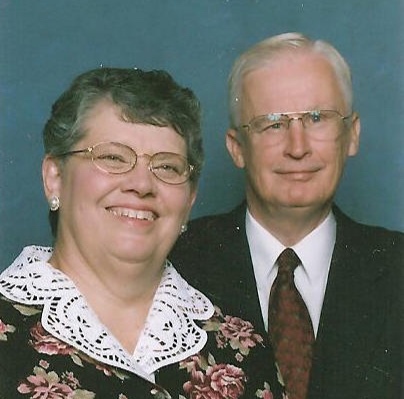 Bill and Jan Paton served together in the ministry from 1994 to 2010 at: Calvary Baptist Church, Bad Axe, Michigan 1994-1997; Heritage Baptist Church, Moberly, Missouri 1997-2004; Immanuel Baptist Church, Hutchinson, Kansas 2004-2006; Calvary Baptist Church, Chatsworth, Illinois 2006-2010; Apollos Ministry of Baptist Church Planters/Missionary Acres, Silva, MO 2010. The Patons moved to Missionary Acres in July 2010. In July of 2017, God took Bill home to heaven. Jan continues to live at Missionary Acres surrounded by her colleagues in ministry and friends.